Learn even a little bit about Luka Doncic, and it’s easy to believe in his future superstardom. But dig deeper, and there is plenty to study and discuss. This article is part of Cleaning the Glass’ ongoing Midseason Draft Review. Learn even a little bit about Luka Doncic, and it’s easy to believe. He has the size of a wing, rebounds like a forward, but handles and passes like a point guard. He is described as competitive, poised, and obsessed with basketball. He has dominated his peers at every age. He’s now playing as a professional against grown men and seasoned veterans — and he’s still dominating. Doncic is competing in the second best basketball league in the world, and through 31 games has more than held his own. He has been both one of the highest usage players in Euroleague play, and at the same time one of the most efficient. Pick-and-rolls captained by Doncic have had the highest points per possession, by far, compared to all others in Euroleague play, and same for ACB (Spanish) league play. (According to Synergy Sports, minimum 100 pick-and-roll possessions.) And, oh yeah: there’s still a month and a half until he turns 19. Seriously, look at the headlines of these articles. In October, Mike Schmitz of DraftExpress/ESPN wrote: There has never been an NBA draft prospect like Slovenia’s Luka Doncic. 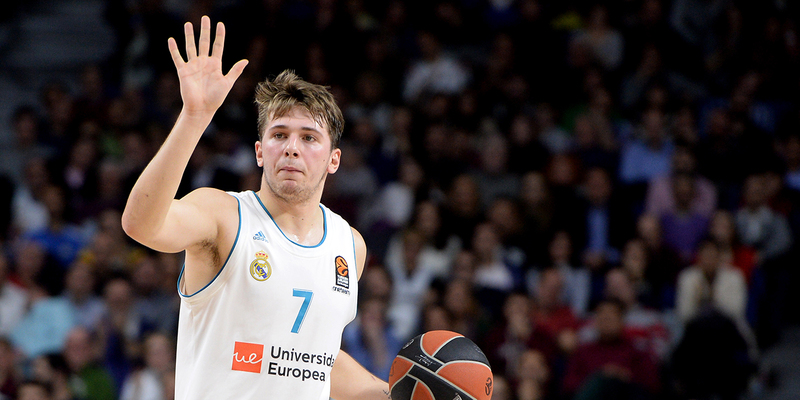 Last February, Dean Demakis asked: Is Luka Doncic the Best Draft Prospect Ever? That may sound extreme, but the articles are very reasonable. Doncic’s resume and production are so good that those headlines are not just normal sports hyperbole. That’s why we’ll start our midseason review with Doncic. But that doesn’t mean we’ll simply accept the idea of Doncic as a sure-fire future superstar without question. Because dig a little bit deeper, and there is still plenty to study and discuss.